Attention music lovers: Imagine being able to attend summer camp with all of your friends in a beautiful location. No, this is no ordinary summer camp... this is one put on by your favorite music label, with artists as camp leaders. Not only that, but dozens of skillful musicians are coming out to experience this with you and "sing songs around the campfire"; except what makes this unique is that these sounds will be coming through a booming sound system. This sounds like something that one could only wish for, right? Well, it's almost time to pack your bags, because this is happening! The ever expanding music label out of San Francisco, Dirtybird Records, has previously announced that this type of event is a go. Releasing a massive lineup with not only a great handful of Dirtybird artists, but also Nosaj Thing, Eprom, Mikey Lion, Lee Foss, and much more, ensures that the music will be 100% on point. Great music isn't the only thing that will be happening to gaurantee this will be the best camp experience ever. A wonderful location is definitely an important aspect when planning an event, and they have that on lock as well. Oak Canyon Park in Silverado, CA will be home to the first ever Dirtybird Campout, and the beauty of this place is no secret (just ask The Do LaB!). There's also a wide array of activities that will taking place, including egg tosses, sack races, dodgeball, archery, hikes, yoga, smores, and so much more. Sounds "just like the summer camp you remember from your childhood, only better." 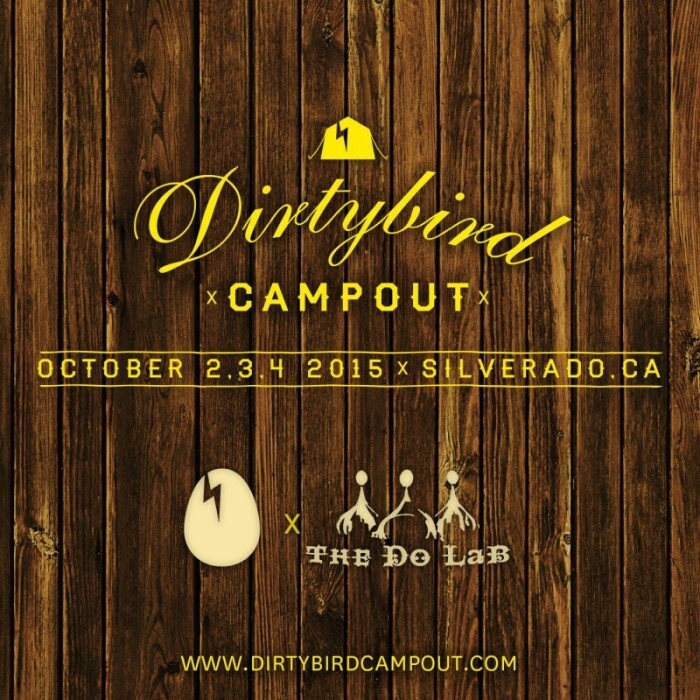 With the trailer for the Dirtybird Campout coming out, the excitement grows with each announcement involving this event. From pressing play and immediately hearing Claude Vonstroke's "Barrump", to seeing the Dirtybirds geared up in their camping attire, the trailer is just another reason why we can't wait to join in on whatever shenanigans they have planned. So, start gathering your camping essentials, folks! From October 2-4 we're going to summer camp. Don't miss out, and get your tickets HERE!